I remeber seeing a picture of all your fabrics before. I would be so overwhelmed!! All that prettiness, I just would not know where to start. Are you in a sewing mood! 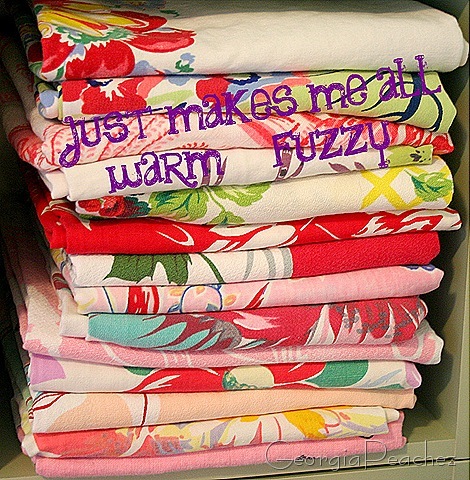 I would never want to CUT the beautiful vintage fabric….just stack it to look at! lol Have fun! yum! are those tablecloths or curtains? I don’t think I’ll ever look at vintage fabric without you immediately coming to mind.